Aren't Zoos Educational and Humane? Common arguments in favor of zoos are wrong and cruel. 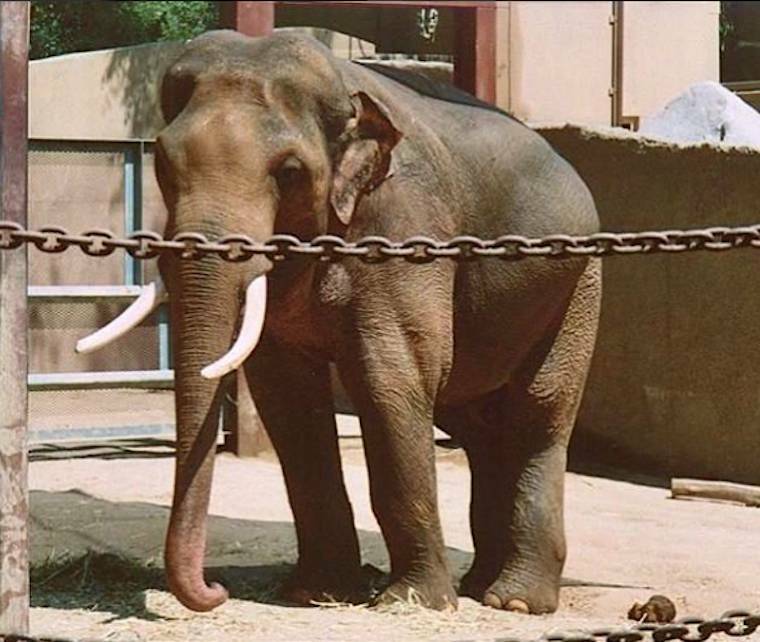 Recently revived efforts to free Billy (pictured below), an elephant who has lived in captivity at the LA Zoo for over thirty years, have led to zoo proponents arguing in favor of the continued confinement of wildlife. At a recent City Hall meeting, LA Zoo members and employees presented romanticized accounts of captive animals’ lives to support the belief that zoos are a humane and ideal setting for wildlife. While these individuals may have positive intentions, this biased and inaccurate stance is detrimental to the thousands of animals who remain behind bars. Read on to learn the most common arguments in favor of zoos and how these claims fail to justify the inherent cruelty of keeping wildlife captive for human entertainment. While individual caretakers undoubtedly develop affection for the animals they tend to, this does not equate to love and respect. Truly respecting an animal means wanting that animal to exist in an environment that most closely resembles their natural habitat. While such environments are challenging to recreate, animal sanctuaries can offer sprawling expanses of land, far more suitable than the grossly inadequate enclosures of zoos. Keep in mind, if zoos had even a trace of respect for wildlife, they would not breed these animals into captivity, nor would they dispose of animals as soon as their usefulness expires. That’s right—it is common practice for ‘surplus animals’ to be killed or sold to cruel exotic pet dealers and roadside attractions when zoos no longer have a profitable use for them. It is true that some species live longer lives in captivity, but a long life does not translate to a happy one. Would you be willing to live in prison in order to have a slightly longer life? Even the best zoos force animals to live in artificial, stressful, and downright boring conditions that deprive them of adequate mental and physical stimulation. This is why zoo animals routinely fall victim to ‘zoochosis,’ which is exhibited in neurotic and atypical behaviors resulting from boredom, depression, frustration, and lack of social structures. Further, many species actually live far shorter lives in zoos. Zoo-born African elephants have an average lifespan of 17 years, compared to 56 years in the wild. 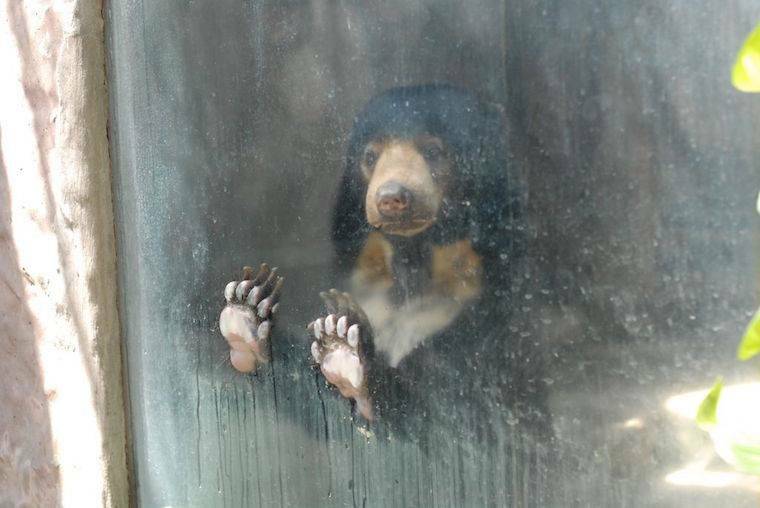 While some zoos make an effort to provide information about wildlife, they primarily teach the public that it is acceptable to imprison animals for human entertainment. This disrespect for life contributes to the widely held belief that animals exist for human purposes, and we can do with them whatever we please. While countless wildlife documentaries accurately portray the multifaceted lives of wild animals, zoos can only display bored and depressed animals’ reactions to artificial environments. Contrary to popular belief, the majority of animals in zoos are not endangered. While some zoos have breeding programs for endangered species, these efforts are overwhelmingly unsuccessful as zoos are seldom able to reintroduce captive-bred animals into the wild. If zoos were truly concerned with the preservation of species, they would instead focus on preserving animals’ natural habitat. Humans are the leading cause of habitat destruction and the only way to effectively stop extinction is to address the primary threats and invest resources in preserving at-risk habitats and ecosystems. Zoos exist to benefit humans, not animals. Wildlife should not be held captive for human amusement, period. If you believe profit and entertainment should not come at the cost of animal’s imprisonment, learn what you can do to take a stand against this industry below. Do not visit zoos. Patronize only non-exploitive organizations such as non-profit animal sanctuaries. For a list of animal sanctuaries, click here. Write your elected officials to inform them about the reality of zoo life. Demand stricter Animal Welfare Act regulations and increased USDA inspections. For your elected officials’ contact information, CLICK HERE.